NAMBOOLE – Pierre Kambale’s first half strike was all that Bul FC needed to defeat SC Villa at Namboole. The Congolese import struck 16 minutes into the game, pouncing on sloppy play. At the beginning, Villa looked to be in control of the game and asking the meaningful questions. On 5 minutes, League top scorer Bashir Mutanda picked up a lose ball off Hakim Magombe’s poor clearance but his strike could only rattle the cross bar with the goalkeeper beaten. Three minutes later, Ibrahim Mugulusi made a brilliant run down the left and played in Mutanda who shot wide of the target from a promising position. On the 16th minute mark, Bul surged forward and after what looked like Villa had regained possession of the ball, a combination of goalkeeper Yusuf Wasswa and Moses Kiggundu gave the ball away and Kambale instinctively struck past the custodian to hand the visitors a 1-0 lead. After conceding, it was all Villa until half time as the 12 time record league champions missed chance after chance. 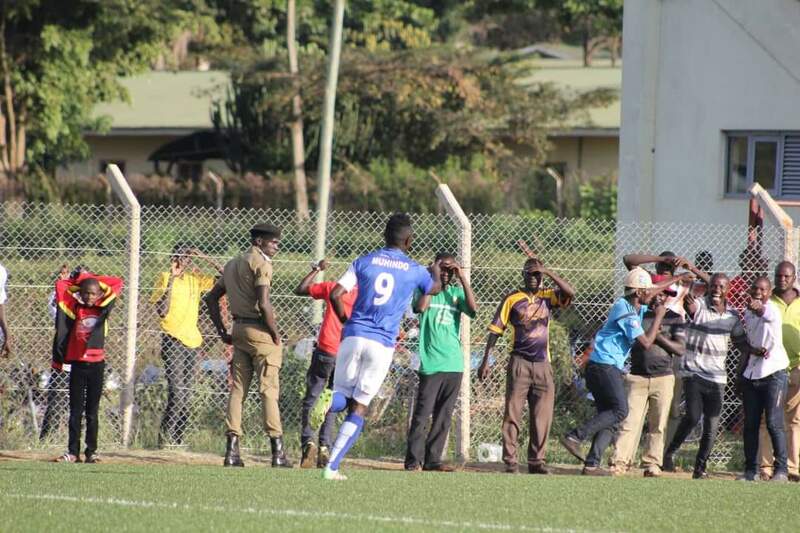 First it was Albert Mugisa trying his luck from distance but his effort went straight at Paul Mujampani in Bul’s goal. Seven minutes later, Charles Lwanga and Mutanda missed two glorious opportunities in quick secession, to level the scores. Lwanga miss-queued Pius Wangi’s low cross 5 yards from goal and moments later Mutanda could not direct Mugulusi’s cut-back, goal wards with Mujampani beaten. With halftime fast approaching, Habib Kavuma tried his luck from distance but his effort was gathered routinely by Mujampani. Villa went into halftime in total control of the game but Bul held the single goal advantage. Villa started the second half like they finished the first with David Owori striking from 20 yards but his shot flew over the cross-bar. Six minutes later, Wangi struck wide a free-kick to compound Villa’s frustration. On 53 minutes, Mutanda also shot wide off a volley after good inter-play involving several Jogoos. On the hour mark, Mutanda played in Mugulusi but the winger decided to shot straight at Majampani instead of playing in a teammate yet the later option looked to be better. As Villa searched for an equalizer, they always looked suspect to counter attacks and on 63 minutes, Kavuma lost possession near the Villa area but was relieved as Kambale’s strike was saved by Wasswa. The best chance of the half fell to Villa’s Mugisa with 22 minutes to play but the former Police midfielder shot wide of the target from 8 yards while unmarked. Villa had two more opportunities to level matters late in the game but could not pounce. First substitute Ajab Abdurahman played in Mutanda whose shot was charged down before it crossed the line and then the League top scorer shot wide following Owori’s through ball. The win elevates Bul into 5th on the log with 22 points while Villa remain 13th after 14 games.